Sony Ericsson has just announced the competition for Samsung Galaxy S plus. Sony Ericsson Arc S is identical to its predecessor Sony Ericsson Arc. The new Sony Ericsson Arc S is based on Qualcomm MSM8255T snapdragon chipset, which features a 1.4GHz processor, the same Andreno 205 GPU and 512MB RAM. The other specs are same, a 4.2 inch FWVGE Reality display with mobile BRAVIA Engine, dimension, Bluetooth, Wi-Fi and 3G with 1.44 GHz turbo processor docs everything of faster, So download and play games, run the apps faster, browse the web and watch videos instead of watching them load. An 8.1 mega pixel camera with Exmor R sensor for snapping high quality picture even in low light condition, touch focus, geo-tagging, fall and smile detection and has 3D sweep panorama by this you snap a breath taking 3D panorama image and show it in a 3D TV and 720p video recording. 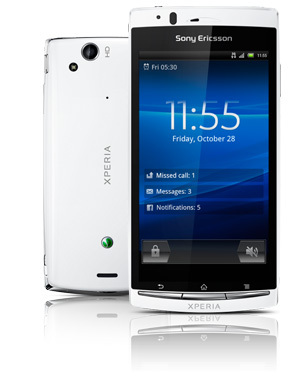 Sony Ericsson Arc S will come with Android 2.3.4(Gingerbread) out of box. The Android 2.3.4 update brings USB-on-the-go support (keyboard, mouse and Gamepad) through Live Dock, Sony 3D sweep panaroma for the camera, even better Facebook integration, Swype-like text input (T9), integrated screen capture ,video chat via Google Talk and more. Nokia has just unlived a new Smartphone which is based on the updated Symbian OS Belle. A fresh, new look with some additions such as email, music and radio widget can be controlled from the six home screen and enhancement for faster browsing with HTML5 support. 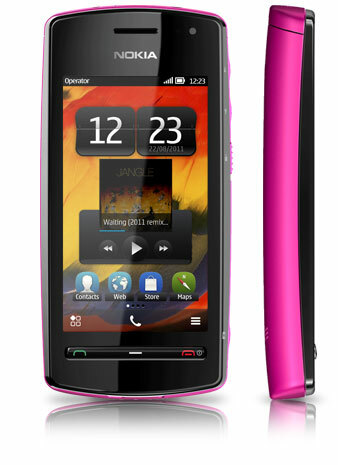 Nokia 600 is designed to prove all in one entertainment phone. It is the loudest Smartphone in the market and has FM transmitter for playing music through nearest radio. Nokia 600 has FM receiver with internal antenna so you don’t have to plug in earphone to listen which is normally act as the antenna. Nokia 600 is NFC enabled like Nokia’s new Nokia play 360°speaker as well as tap to share picture and use other emerging NFC apps like the NFC enable version of Angry Birds and fruit Ninja included in the package. It is powered by a 1GHz single processor with Symbian Belle OS. The 3.2-inch nHD capacitive display (360x640 pixels) with Proximity sensor, accelerometer, compass (Magnometer) and Ambient light detector. The Nokia 600 comes with a pent band signal receiver and supports 3G data speed up to HSDPA standard, as well as Wi-Fi, Bluetooth and NFC. Nokia 600 has 2GB of internal memory and can be expandable up to 32GB using microSD card. It has 5-mega pixel full focus camera with LED flux and capable of record 720p HD video.